Arts provides access to information and resources on technical assistance, access resources, funding and assistance in the development of accessible arts programs to individual artists, designers and arts organizations and explores the story of disability experiences through the expression of the Arts. 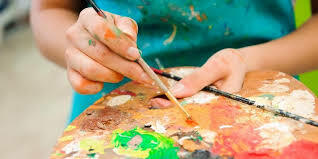 Art Therapies have proven to be beneficial in assisting people with disabilities to find ways of communicating and finding inclusion. Identifying with disability culture can help you find that you are not alone.